Bill Belichick's hatred of the media and the NFL is well documented. But until this season, we didn't know just how much he hates the NFL's technology. In Week 4 against the Buffalo Bills, Belichick gave us this awesome gif of him smashing a tablet. Now, he's made it even more clear how frustrated he is with the NFL's Microsoft Surfaces--to the tune of a five minute and 25 second rant. The main takeaway? "I'm done with the tablets...I just can't take it anymore. There are very few games where there aren't issues in some form or fashion with that equipment." The coach went on to detail the weekly struggles of the team's IT manager, Dan Famosi, and lamented the fact that teams don't have access to any of their technology the week leading up to the game. "We use it, but it isn't like we have the equipment during the week and we can work with it...We get the equipment the day of the game -- or not the day of the game, a few hours before the game. We test it, and sometimes it works, sometimes it doesn't...and then during the game, sometimes something happens and it has to be fixed." For a Microsoft product that's already having trouble overcoming the iPad, that's not exactly a glowing review. Even worse, Belichick said he's not going to use the tablets in the future unless he absolutely has to. "I'm done with the tablets. I'll use the paper pictures from here on, because I just have given it my best shot. I've tried to work through the process. But it just doesn't work for me, and that's because there's no consistency to it." Ouch. 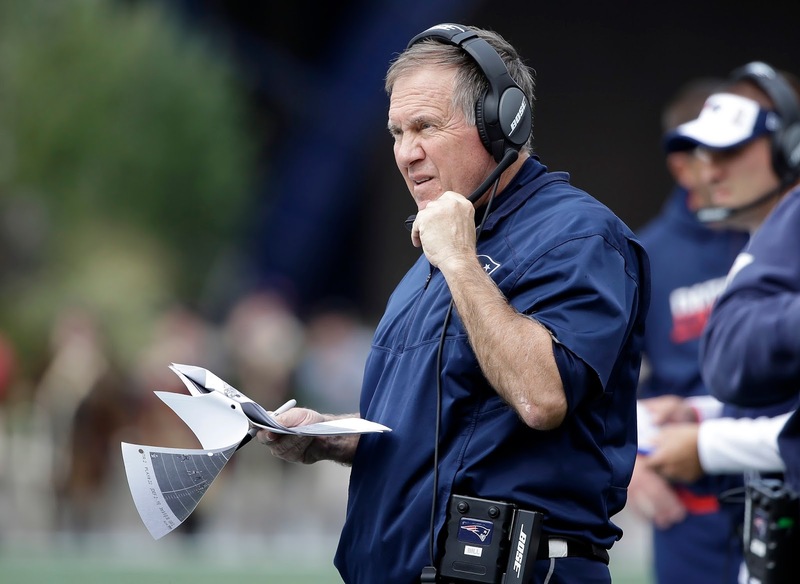 The Patriots have soldiered on so far, but it looks like Belichick's patience is gone. Your move, Microsoft.